Many technologies used within the refurbishment have been left on display, or models are used to explain their function. Larger technologies include photovoltaic cells, small scale wind turbines, ground source heating and rainwater harvesting. Visitors are also informed about small scale technologies, such as low energy lighting, low flush toilets and spray taps, as well as building materials, for example sheep’s wool insulation, clay plaster and marmoleum™ flooring. A touch screen and ipad are avaialable for visitors to inform themselves of topical issues within the environmental sector. There are a number of models on display and books for children, which help to explain environmental issues. 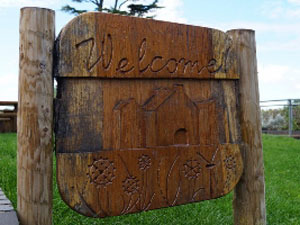 Next to the building, a wildlife garden can be found; a wonderful mix of habitats for native fauna – a wildflower garden, a bog area and a pond. 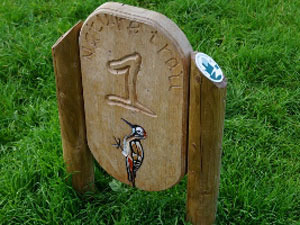 A nature trail has been created around the outside conservation area, for visitors to enjoy, along with a guiding leaflet.